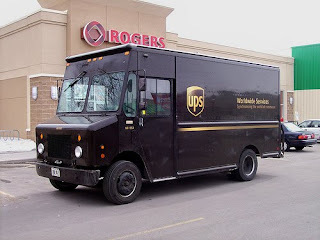 UPS and Electric Vehicles International (EVI) has begun a 90-day demonstration trial of their walk-in van (EVI-WI). Over the past year, EVI and UPS have worked together to develop a vehicle to meet the needs of the parcel delivery service industry. The EVI-WI is built on a Freightliner Custom Chassis Corporation (FCCC) glider equipped with a Utilimaster body. Earlier this year, EVI received California Air Resource Board (CARB) approval for the EVI-WI. Customers who purchase the EVI-WI can take advantage of a $20,000 CARB rebate through the Hybrid Truck and Bus Incentive Project (HVIP). The 90-day demonstration process with UPS will be split into three 30-day, smaller demonstrations in vastly different regional locations. The vehicle demonstration will begin in Sacramento, followed by San Francisco and concluding in Reno. “We are excited to partner with UPS and to see the results of the demonstration” said Steve Riley, Vice President of Sales and Marketing for EVI. “We believe the 3 regional locations will help prove that our truck can perform in any setting from urban to hills and various climate conditions,” said Riley. The drivetrain for the EVI-WI combines a 99 kWh Li-ion battery pack from Valence, a 150 kW (continuous), 200 kW (peak electric motor) and a five speed automatic manual transmission with PTO. Expected average range is 90 miles (145 km), and maximum speed is 60 mph (97 km/h).